Little children love snowman crafts! They also love play dough. For a winter craft, each of my preschoolers made their own snowman out of homemade play dough and did they have fun! What amazed me is that there were no two alike. Each one was totally unique, as unique as each of my little students are. This was my first experience with making play dough. It is easy to make and cheap, too, except for the cream of tartar. You will need some elbow-grease for stirring it. Be prepared. If you have shoulder trouble, enlist the help of a friend for that part. Otherwise, dig in and enjoy! Your kids will LOVE it. Put all of the ingredients in a large saucepan. Reserve the food coloring and glitter for later. Cook it on medium heat until the mixture becomes thick and sticky. Stir and don’t stop stirring till it’s done! Remove from heat and continue to mix a little more. If you want color, add food coloring, too. Since we were making snowmen, I didn’t use any. *In this particular instance, I was making play dough to bring to school for my preschoolers. One bag per child. 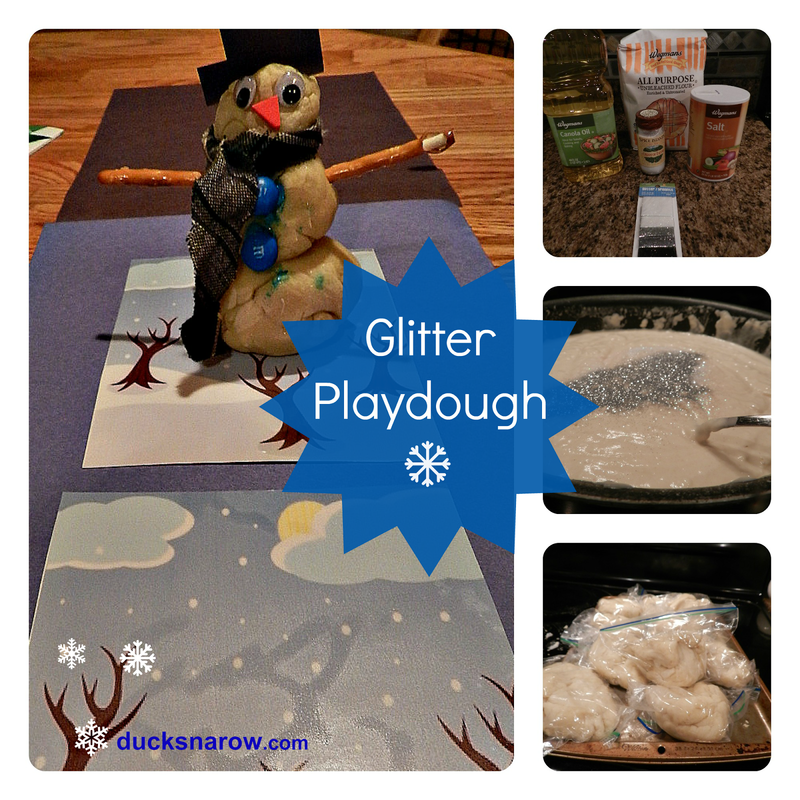 If we had been making the play dough with the children, I would have let them add the coloring and glitter themselves. It’s fun! Tip: Make a base. I wanted the snowmen to look extra special for my little guys so I laminated a winter-scape for each of them to use as a tray. Looks cute and the play dough won’t stick to the laminated surface. Tip: Buttons. I really love M&M’s. We did an M&M math project weeks ago and I saved the leftovers for later. Using them for buttons seemed like a great idea. The blue M&M’s looked very cute but the color soon melted on my snowman. (They may “melt in your mouth, not in your hand” however they do melt on play dough snowmen. LOL) Next time, I will use craft buttons. How about you? Ever made your own play dough?